Andy Doran, aka Heifervesecnt has carved out a reputation in the indie music field for his compositions. With Excuses For The Common Man we are treated to more beautifully arranged songs that combine technology, guitars and distinct vocals. Each of the 14 tracks is pop rock, but it’s leagues above the standard fare you hear. White Camarillo starts things off with its infectious guitar riffs. The song, which is about rekindling friendships, is a rocking number that’s bound to be an indie classic. Scoping Out is a laid back track that sounds like something from the 60s. It is in direct contrast with Wonders of the Deep, with its scathing commentary on ill-gotten wealth, pollution and corruption, masked in cheery melodies. 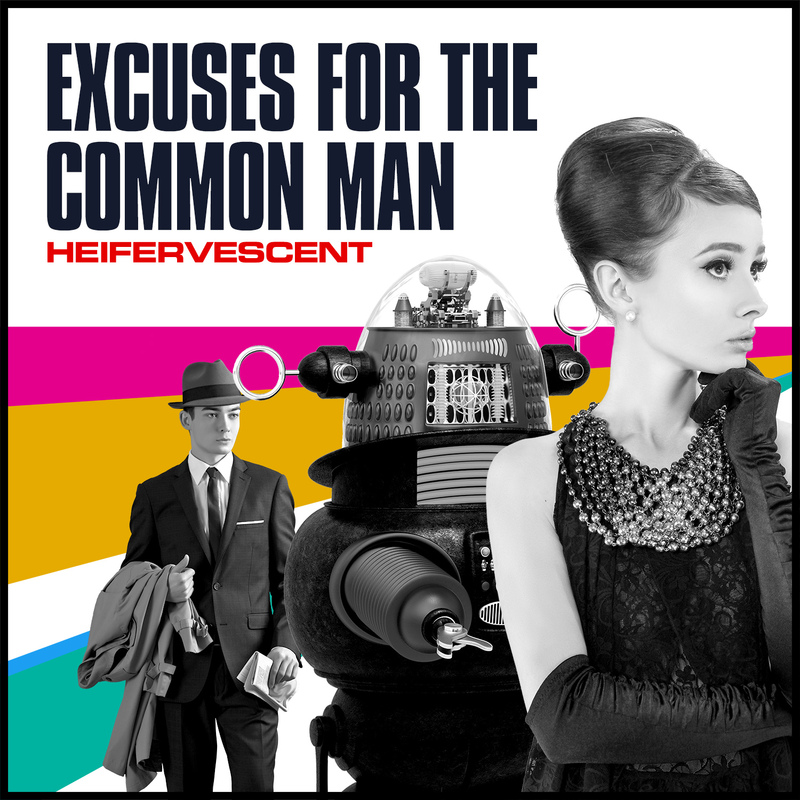 With its thumping beats, The Man That Time Forgot showcases Heifervescent at his rocking best. One Way Out features beautiful melodies, guitars and soothing vocals. The lyrics – Just a thing to think about / Everybody exits through the same door – talks about death, but it still has an optimistic vibe. Lyrics wise Everything Under the Sun is one of the most sullen here, and the melancholy subject is complemented by the electronic elements and guitar strings. The happy ambient / dark lyrical content is evident again in Elizabeth WTF and The Loneliest Walk, songs about guilt, the sins of the past, addiction and failed relationships. Excuses for the Common Man is something we can relate to, trying to live up to expectations, and the lyrics are complemented by some of the album’s best guitar work and vocal harmonies. Black Cat and Destination Altair feature excellent guitar hooks, while Human Transponder is an uplifting tune about love and friendship. Broken Hearted Man has some of the most powerful lyrics in the album. with lines like And in a flash of revelation I realise / All I have are empty hands, it’s something we can all understand. And then we have My Dear Commissar, a slow pop rocker that asks the big questions about God, the nature of evil, and suffering, a fitting collusion to an excellent album.